South African entrepreneur Tumi Phake is the founder of Zenzele Fitness, a company which operates fully-equipped in-house health clubs at large companies. Its clients include Absa, Discovery, Alexander Forbes and South African Breweries. 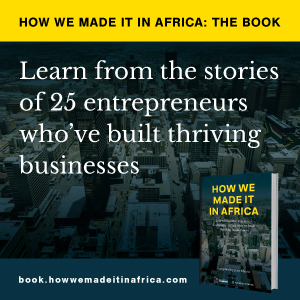 Phake is one of the businesspeople featured in HOW WE MADE IT IN AFRICA: THE BOOK (available here), which tells the stories of 25 entrepreneurs who’ve built thriving businesses. Here are three lessons we can learn from Phake’s business journey, as chronicled in the book. 1. Don’t let others discourage you from pursuing your business idea. When people say things such as, ‘You’re crazy’, or, ‘It will never work’, oftentimes they are only projecting their own fears. 2. An innovative idea, on its own, is usually not enough to convince investors to back a business. Investors want to be comfortable that an entrepreneur has the ability to execute the business plan. 3. To build a large company, entrepreneurs need to spend their time thinking about expanding the business, and not involve themselves in day-to-day operational tasks.